I sell house tools, not houses! Free or Controlled Thought & Discussion? What Does It Mean if a Chart is Not Radical? Planetary Ritual with NO Astrological Timing? As a Sun Pisces, one of the more difficult things I deal with are frequent "HELP! HELP! Save me!" e-mails. Some poor soul is in dire straits, usually financially and is desperately seeking instant change in their unfortunate surroundings. I'm careful to explain that I can't guarantee the results of talismans and I strongly advise clients not to spend their last dollar on talismans in hopes of being instant billionaires. I flat out tell people that ask about the lottery not to buy a talisman. Certainly from the client standpoint the results are what matters. That's what the client thinks they are buying. They want to buy a house, so to speak. From the perspective of the mage/talisman seller, the talisman is a tool. If you want to build a house, i.e. get results, talismans are very useful, in fact you might not be able to get the result, i.e. build the house, without a talisman. But just buying a lot of house tools and wood, won't get you a house, you will have to get the land and then pitch in and build it. One of the things I really like about Jason Miller's financial magic, is that he says you can't do it in vacuum, you need to budget and make other practical financial steps with magic one part of the overall plan. While I'm definitely sad about the end of my jeweler's casting metal talismans, I am increasingly feeling pulled away from talismans as instant panacea towards being a celestial priest. The priestly focus is more on establishing and maintaining a positive relationship with these incredibly benefic spiritual beings. More on aligning ourselves to positive spiritual forces and getting the ego out of the way so they can manifest through us as opposed to a sort of spiritual "gimme, gimme" Obviously we need to take care of our physical wants, but having that as our main purpose and single goal in our magical work is problematic. The happiest clients I have tend to be experienced magic users, they understand what's possible with magic and appreciate the power of the astrological spirits. But I don't want to foreclose newbies, instead I want to keep moving towards the idea of talismans and other magic work as tools that need our contribution and depend on our situation, rather than instant guaranteed results. Folks, I am very pleased to add some additional diagrams, tables and explanation to the 3rd Planetary Order page. I got some really interesting and useful information from several posters, including Claire Pruitt on Facebook. First it was pointed out that the 3rd Planetary Order corresponds to the triplicity rulerships. 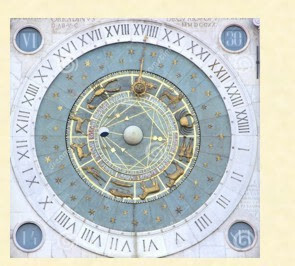 Then Claire pointed out the order of the planetary minutes was the 3rd planetary order (she calls the planetary minute order) and planetary seconds were in days of the week order. I was then able to go back and using modular 7 arithmetic steps to deduce why the planetary minutes and seconds have these order. Note that while modern scientists like to use decimals so they use tenths, hundreths, etc of a second, the traditional method was base 60, so a hour has 60 minutes, a minute 60 seconds and a second, 60 thirds. We can go back endlessly determining which of the 3 planetary hour sequences applies. Very cool! While it's easy to let my conscious ego self set goals, sometimes it's very interesting to just let myself be guided in my study and contemplation. Recently I stumbled across another piece of the puzzle, which was that the sequence of days of the week for leap days, February 29th, were in the Chaldean Order! So not only did the Chaldean Order change into the days of the week, but the days of the transformed back into the Chaldean Order! How did this happen? My exploration had begun and I give a detailed explanation on my new Third Planetary Order page. As you will see, I learned what modular arithmetic was and discovered that the Chaldean Order and the days of the week sequence are fundamental 7 fold orders, but that there is an additional fundamental 7 fold order, which I call the Third Planetary Order. What use this order may have for astrological prediction and magical power remains to be seen, but the incredible order and symmetry of the Cosmos is once again revealed. I recently received a mass e-mailing of a pdf entitled, "AMERICA IS BORN Out-of-Sample Tests and Predictions for the Regulus USA National Horoscope" by the anonymous Dr. H. This is another in his series of mundane/geo-political astrology works. Whatever the merits of his work, I was highly disturbed to find this in the front of the pdf. Regulus Astrology LLC asserts the moral authority to prohibit any astrologer from making any prediction of harm for any American, its elected officials, or the President based on the Regulus USA National Horoscope . By continuing to read this document the reader agrees to the conditions of this disclaimer." Aside from the question of the propriety of death prediction, Dr. H is asserting that he has total control over how you, the reader, use the ideas and information contained in his article, in particular his personal view as to what the correct US birth horoscope is, which he proprietarily terms the "Regulus horoscope"
Now there is no doubt that Dr. H, like any author has the right to stop people from simply copying and plagiarizing his work. But under US law it is not possible to copyright or patent ideas or information. This is because of the importance of the free interchange and discussion of ideas. What Dr. H is doing is copying the hard ball corporate tactics of the large software companies like Microsoft and their end user license agreements ("EULA"). A EULA is a private contract and thus can go beyond what is allowed under copyright and patent law. Just by reading Dr. H's article, Dr. H insists that he can tell you what you can and cannot do with the information in it. This is like the first ornithologist to discover a bird insisting that no one can talk about the bird, without the ornithologist's permission. Dr. H could just as easily start charging for any use of the "Regulus horoscope" or start censoring people's opinions of it. This is a direct attack on a key principle: free debate and exchange of ideas and information. The horoscope of the US is not a private possession of some individual, that they can use, abuse, charge for and control. We all, including Dr. H, benefit from the free interchange of knowledge. Personally, I am boycotting Dr. H and any discussion of the "Regulus horoscope" until he removes this disclaimer and makes clear his acceptance of the free interchange and expression of astrological ideas and information. NEWS FLASH As of June 22, 2015, Dr. H e-mailed me and indicated that he had removed the disclaimer on his article. This is great news and Dr. H is to be commended for his commitment to the free interchange of ideas. Whenever I get positive feedback, I always ask if I can use it as a testimonial. I now have a 43 page Word document filled with testimonials, but then I seem to forget to post them. In the past two days I've got a very glowing horary as well as electional testimonial, so I thought I would post them. The horary is interesting because I tend to have a lot of trouble with lost item horaries, and in fact this one didn't lead to recovery, but nevertheless had some very interesting results. 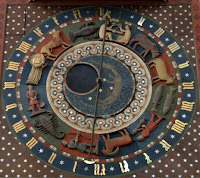 Here is more information on Horary Astrology. While I never found the will, you pinpointed within a couple feet exactly where he hid the combination and keys to his safe. (The safe only contained his property titles) If I were a stranger that walked into my Brother's house solely with your information, I would have found the combination/key safe numbers within 10 minutes. Unfortunately my brothers had to drill open the safe before I received your response. The card and keys were within inches of the chimney. They were within 2 feet of the furnace (heating system) and were up high on a heating vent in the basement. 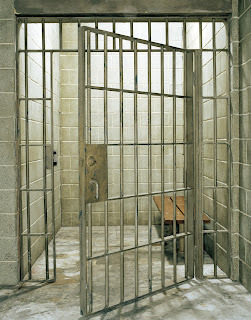 The reference to 'where animals are kept', he hung a treasured Wolf picture within inches of the keys. Also that you said I may already have the will unknowingly? Well I am the beneficiary of his bank accounts, so that in itself is very significant and amazing that you would pick up on that. He has 6 properties with quite a few tenants that I have to try and manage along with the incredible sorrow of the loss of my dearly loved Brother. Plus I'm caring for my Father who has dementia. Omg. The legal and time consuming factors of probate seem too much for me to deal with without Kelly's direction of who he wanted to inherit his properties. I'm interested in pursuing this further with another Horary question and analysis, but I will completely understand if this is potentially draining or not your favorite thing to be involved in. There is suspicion that someone removed the will from his home hence your observation there is mystery involved. And that the will is far away from me (if I understood your statement correctly) it would make sense. No matter what you choose, I will respect that and have much gratitude to you for what you've presented via Horary. The election is also interesting, these are quite evident results which we don't always get. Here is more information on Electional Astrology. I think I told you how many good things happened here with the electional chart you gave us for August, 2013 when we moved here. If I didn't shout enough, I'm shouting more. Thank you so much for your talismanic work and astrological work. Our income has increased, my husband's health is now at the point that if he continues improving in his weight and A1C levels in his blood, the doctors will take him off his insulin (type 2 diabetic). My dad came out of the blue on my birthday to gift me this house we're buying before he dies (he's 85) like whammo. Unreal. As horary astrologers doing readings for others and as horary clients, it's useful to recognize what I call the reassurance reading. Probably the most common examples of these are querents asking "When will I get a job?" and what could also be called a rebound reading, asked when a relationship ends and the querent asks, "When will I have a relationship?" or "Will I ever had a relationship"? "When" is a red flag, because it assumes a yes answer and just wants to know when it will take place. "When will I be elected president of the US?" in 2016 or 2020? Generally I deal with "when" questions by rephrasing them as "Will I get X and if yes, when?" which works fine as far as me judging the question. The problem is from the client's perspective. With certain types of questions the querent gets upset with a "no" answer. The whole point of the reading from their standpoint was to get a "yes", that's what they are paying for! Unconsciously they are seeking reassurance, in the job context, that despite their current problems they will get a job eventually, in a romance context, again despite their current problems that they will eventually have a relationship. Now my impression is that for a lot of readings, like psychics or modern astrologers reading natal charts, that clients and fortunetellers are on the same page: the client will get a vaguely positive reading, no matter what. With traditional horary, however, negative readings are not only always possible, they are more frequent than positive readings. This is logical isn't it? How often would you pay $60 to ask about a relationship that was going great or when you have a great job. You do a horary when you get worried and when you get worried there are clearly going to be times when that's justified. I had someone complain about my Horary CaseBook that there weren't more positive readings! Well, yes if I could just get clients to ask questions when the situation was positive and the answer was yes. Similarly I have clients complain, "Both the readings I got were negative!" I understand that it is perfectly natural to blame the messenger. There is a place for reassurance readings and it is fine for clients to seek them, but traditional horary practitioners, to be fair to the client, should alert them. With a traditional horary reading both a yes and a no answer are always possible. Just today I had a potential client that wanted an emergency double price reading, but wanted to ask "When will I get a job?" I asked them, as I routinely do with querents who want to ask this question, "Will it be worthwhile to pay and get a 'no' answer?" If so I am happy to do the reading. If a "no" is not helpful or you hadn't even considered the possibility of a "no" don't get the reading! I have a similar rap for the rebound relationship readings. It is not unusual for querents to ask about a particular relationship get a "no" and then want to ask a general "When will I have a relationship?" reading. I try to discourage this since I find that the previous relationship often pops up. Until a particular person or relationship is off the emotional radar, so to speak, it doesn't make sense to ask a general relationship question with no one in mind. Obviously all horary astrologers have to decide how to deal with these issues for themselves. I suppose I could just take the question and then zap 'em with the no, but as noted I'm moving towards making sure they know the options, that seems fairer. Of course if one's readings generally come up positive this issue won't arise, but then a rather high level of customers dissatisfaction with accuracy arises. Ultimately, there's no way around the fact that clients often don't or won't get what they want. Traditional horary doesn't do reassurance readings, not if it is done properly. Fitting client expectations to one's methodology is key because then we get the repeat customers who are very happy with the ability to get accurate, precise predictions because they want the truth, be it negative or positive. I had an interesting question recently about deconsecrating a paper talisman. The querent wanted to know how to deconsecrate a paper lunar mansion talisman at the same time as creating a new talisman for the same mansion. This is a perfectly reasonable question and I definitely don't want to insist that my way is the only way, but the question got me thinking about my whole approach to working with astrological spirits. I must admit that I always feel uncomfortable with deconsecration. I realized that this springs from my basic attitude toward astrological talismans and spirits, which is not necessarily the only way to approach them. Let me lay out my own stance, which I do not insist is the sole "correct" way, just what I have personally been guided to. My approach is very devotional, more "religious" and is very much in the context of my overall Buddhist spiritual path. It is quite similar to how the planetary and stellar spirits are treated as gods in Vedic astrology and Hindu spirituality. I see the power of astrological talismans as coming primarily from the astrological spirits that inhabit them, if they are created at the proper time and consecrated. The astrological spirits I work with are angelic, in the Buddhist context they are devas, so they are much more powerful than I am. I cannot command them and they do not wish to make deals with me. I am blessed to be able to be in contact with them and the material benefits I may receive are a secondary bonus of this contact. I don't tend to ask for specific results from them. I seek to have a long term close connection to these spirits and venerate them at appropriate times by invoking them and offering candles and usually incense. My attitude and actions, as much as I can, are always respectful. You might call my approach devotional. There are certainly other ways to approach astrological magic. We could consider it a matter of "energy" and the talismans as batteries charged with astrological "energy" This is not untraditional, as there is a lineage of ancient astrology that conceptualizes the effects of astrology and talismans this way. Al-Kindi, in his On the Stellar Rays, takes this approach, describing how all things radiate spiritual rays. Now this is definitely not a modern scientific view because these rays or energy are not detectable by science and not part of the electro-magnetic spectrum or light or gravity. Nevertheless, this is closer to the scientific attitude than my approach. So if we are just dealing with impersonal energy stored in batteries, we can make whatever talismans we want, the focus on whatever effects we desire and then dispose of the talisman once it is used up or we no longer need its effects. As moderns we don't worry that the battery or the electricity it contains and by extension the energy of a talisman, will be offended if we toss it out, we just need to figure out the proper disposal method once we've gotten whatever use we wish out of it. Another traditional attitude, but one different from the devotional approach, is to work with spirits but in either a contractual or dominating way. These approaches are exemplified in Western esoteric practice by the pact with the Devil or demons (explicitly contractual) or by the Solomanic grimoires which seek through invocation and conjuration to dominate spirits through the will of the magician, names of God and other means. 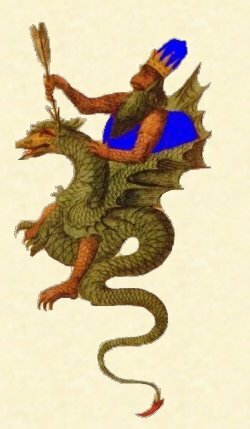 Goetic magic uses both of these means, commanding the spirits, but also providing them with what they desire (rum, a chicken, tobacco, etc.) in return for specific results. These approaches are not "wrong" just different from the devotional approach. The focus is on gaining particular effects desired by the magician as determined by the magician. The spirit is either willingly or unwillingly induced to provide what the magician wants. So depending on what our view is of our relationship with the talisman and spirits that will clearly determine our attitudes about consecration and deconsecration, ritual and results. If the talisman is a piece of lifeless technology, obviously there is no problem tossing it out when you are finished with it. If the talisman contains a dangerously rambunctious servant, then you need to treat it as toxic unless and until it is properly disposed of when you are done with it. If you are the boss, then you can experimentally invoke spirits just to see what happens, but you need to be fully protected in case they attempt to rebel. If you are respectfully calling upon a powerful friend, teacher or benefactor with an appropriate request or simply to show respect, no protection is necessary, but it would be disrespectful to decide you are done with it and to dispose of it thoughtlessly. Being called to the devotional approach, I obviously prefer it. I like that as long as I am respectful, I need not worry about spiritual protection from the astrological angelic spirits I invoke. I don't need to watch my back! I also don't need to worry about getting tricked or getting the letter of my request granted but with all sorts of side effects. I can trust that the planetary and stellar spirits have my best interests at heart and will send me what I truly need versus what I may think I desire. This approach obviously colors my practice and in fact, I am more of a celestial priest, than an astrological magician. All of these other approaches are certainly traditionally rooted and followed by contemporary practitioners. The advice of the famous Sufi mystic Ibn Arabi is appropriate, "seek the spiritual path that inspires you" I feel blessed having been guided to the path of devotion. I was just asked by a poster on my discussion group Spiritus Mundi about the void of course Moon, specifically if this only affected Moon talismans, or had a more general application to all talismans or possibly even broader. This is a very interesting question, very timely! I appreciate the opportunity to hold forth at length on this topic, which would be impossible without such good questions. It is interesting how various themes becomes fads and then fade away. Over my 15 years as a traditional astrologer I have seen a lot come and go through the much larger, predominately modern astrological and New Age/contemporary esoteric community. When I first started as a traditional astrologer people wanted to know how I could have the temerity not to use the outer planets. That faded and then was replaced by the overwhelmingly apocalyptic Mercury retrograde, which still has many adherents, but is not at the raging flood level of a few years ago. The next fad was the 13th sign, Constellational Zodiac. Currently we are in the grip of the deadly, to the level of Ebola-pandemically dangerous, void of course Moon which seems, in the popular astrological imagination, to blot out the good in any chart and destroy any election irretrievably. I have a dual role and interests here. As a traditional astrologer I am repeatedly called upon to explain and to justify why traditional astrology does not conform to the currently accepted views articulated in these fads. As a student of the magic of the soul and psychology of Giordano Bruno, (see Mass Magic Course and An Example of Mass Magic on the Renaissance Astrology website), I am very interested in the formation and power of fads and memes. Ok, so let's get oriented. The first problem is the idea that there is "astrology" in general. In this view, there is one objective reality out there and lots of individual astrological techniques floating around that can all be used independently. We can test these and find out which is the "best" house system, for example, and this will be true for all astrologers, for all time, in all circumstances. This is how modern science operates and thus it is not unreasonable for modern people to adopt this view of astrology. My view is that there is no such thing as "astrology" in general, except perhaps as a general intellectual classification. There are actually a number of major schools or types of astrology. For example, Hellenistic astrology, the astrology of classical Greece and Rome; traditional astrology, the astrology of the European Middle Ages and Renaissance; Vedic astrology, the traditional astrology of India, and modern Western astrology, which is the predominate type in the contemporary West. 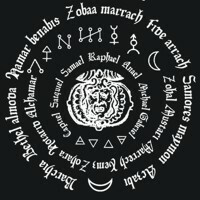 Each of these schools has different methods, different techniques and in the case of modern astrology, a different philosophical approach. If you ask someone what type of astrology they practice and they answer "astrology" then they are modern astrologers. In my view the schools of astrology are like languages, indeed astrology literally means the language of the stars. This means that if we are to practice astrology intelligibly we need to stick to one school. Otherwise we would be like someone who felt that German had the best verbs, Spanish the best nouns, English the best adjectives, etc., Their speech would be impossible to understand. 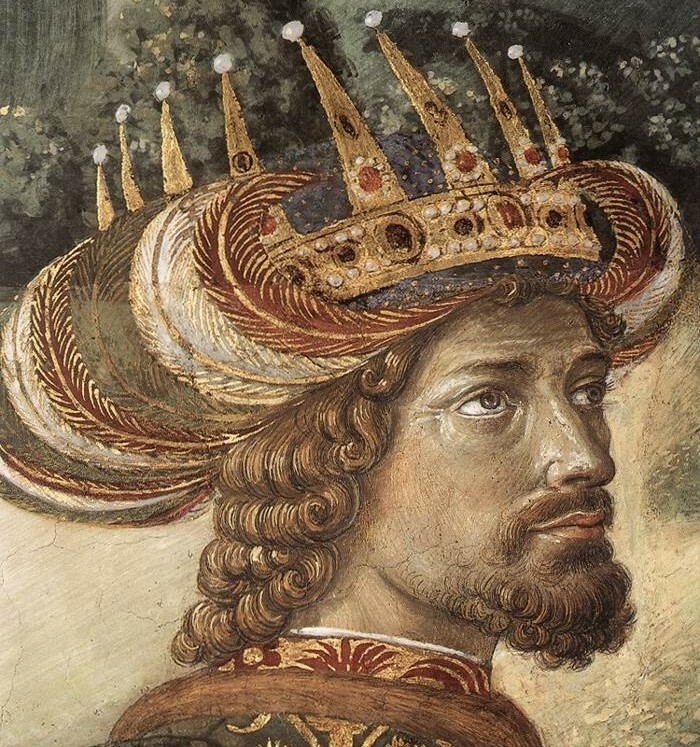 At certain points genius astrologers have indeed invented or been part of the creation of new schools, for example the brilliant Arabic speaking astrologers like Abu Mashar or Mashallah, who created the incredible synthesis of Hellenistic, Vedic and Persian astrology that is traditional astrology. Personally I know I am not a genius and I cannot see that I am capable of creating a new astrological language. I am happy to be able to practice such a supple and complex system as traditional astrology. This may seem like a digression, but it is, in fact, the basic explanation of why traditional astrology uses certain techniques, like the Tropical Zodiac. I would not maintain that this is the "best" Zodiac because this is like arguing Spanish has the best verbs. Individual techniques really cannot, in my view, be individually evaluated. It is the overall accuracy of the methodology in prediction that is key and for this I have personally been able to verify that traditional astrology is highly, though not 100%, accurate in prediction. Thus the reason for not using techniques that are modern or used in a modern way is almost tautological. Traditional astrology uses only traditional astrological techniques because otherwise it would not be traditional astrology. 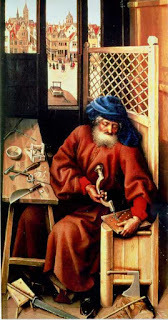 As a practical matter, over 1000 years of use by our predecessors and 15 years of personal use as a professional astrologer, it seems apparent that traditional astrological techniques used in the overarching traditional school, do work very well. I have previously provided detailed explanations of traditional astrology and the outer planets plus Mercury retrograde and the 13th sign and Constellational Zodiac. I have mentioned Void of Course Moon in the context of fixed star elections but I have not discussed the issue of void of course Moon in general in traditional astrology. 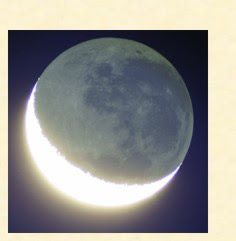 Ok, the void of course Moon in traditional astrology. The famous astrology William Lilly in his magnum opus Christian Astrology says, "A Planet is void of course, when he is separated from a Planet, nor doth forthwith, during his being in that Sign, apply to any other: This is most usually in the Moon; in judgments doe you carefully observe whether she be void of course yea or no; you shall seldom see a businesse goe handsomely forward when she is so." Christian Astrology, page 112. Lilly also says, "All manner of matters go hardly on (except the principal significators be very strong) when the Moon is void of course, yet somewhat she performs if void of course and be either in Taurus, Cancer, Sagittarius or Pisces." Christian Astrology, page 122. So first the definition of void of course Moon is vexed and traditional astrologers go back and forth on how to define it. What I use and again this is not necessarily the "best" definition, just what I was taught and seems to work, that the Moon is void of course when she doesn't perfect any more aspects in the sign she is currently in. She may, however, be in orb of an aspect, but is still void of course if she has to leave the sign she is in to perfect the aspect. Note that Lilly doesn't exactly say that void of course Moon is a total disaster, just that things seldom go handsomely forward. Even that is riddled with exceptions. In my view, as a traditional astrologer, the void of course Moon is just one of many possible afflictions of the Moon, some major, some minor, some not even typically used. 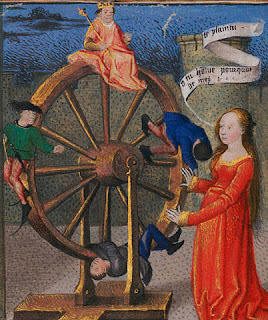 The famous medieval Italian astrologer Guido Bonatti lists 17 different afflictions of the Moon, aphorism 5 of his 146 Considerations. He mentions void of course, but also pitted, azimene and dark degrees, which, to my knowledge, weren't even used by most 17th century English traditional astrologers, let alone contemporary ones. So in my view, void of course Moon is not a major affliction, certainly not compared to Moon in detriment or fall or combust or applying to square or oppose an afflicted planet. I do not consider void of course Moon to be a significant affliction even in a Moon talisman chart. In a horary chart, void of course Moon is a very useful indication of a lack of significant contact or action, but of course just a single indication that needs to be considered in the context of the complete chart and the situation at hand. So that's the traditional astrologer speaking. What does the student of mass magic, of fads and memes see? The attitudes and philosophy of modern astrology and the techniques that pass muster under that attitude and philosophy are not surprisingly dominant in any contemporary discussion of astrology. Modern astrology is predominately psychological, natal astrology which arose around the end of the 19th century and melded very well with Jungian archetypal psychology. Modern astrology therefore focuses on birth charts and predicts a person's psychology based on their birth chart. In fact, it does this very well and I myself predict psychology in natal charts, as this was done by traditional astrologers, though they would term this character. First, modern astrology, following modern thought in general, is very skeptical of fate or destiny and believes that individuals can freely choose almost any area of their lives. Secondly, since modern astrology is so based on psychology, it imports the attitude of psychologists to patients which is going to be fairly upbeat and optimistic, encouraging to all as an aid to treatment and therapy, though all will not necessarily improve significantly from psychological treatment. What this means is that modern astrology is extremely positive and upbeat about almost every astrological factor. There are almost no negative factors in pure modern psychological astrology. This is in distinction to traditional astrology, which attempts to accurately model reality for prediction, which is a different purpose than modern astrology's therapeutic goals. Thus the astrological factors in traditional astrology range all the way from terrible to wonderful with every shade of gray in between, in order to be able to provide accurate predictions since as a practical matter the concrete outcomes of events also range all the way from terrible to wonderful and everything in between. Again, this is not to say that these basic philosophical stances are "right" or "wrong" Both of these schools work well within their area of expertise, traditional for prediction of concrete events and modern natal for understanding the psyche of the native (person whose natal chart is being examined). Just from a practical standpoint, the lack of negative factors in modern astrology is problematic for electional astrology because if every factor is good, how do you choose a particular time and date astrologically? What factors should be avoided? But, what also I notice is that the predominately positive approach of modern astrology creates a psychological vacuum, that the necessary psychic balance of negativity is lacking for practitioners. As much as we like good things and good feelings, we seem to also need bad things and bad feelings. In modern astrology these negative astrological factors are provided by a selective adoption of a few techniques from the plethora of traditional malefic factors. 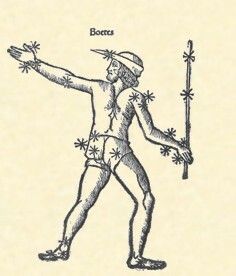 As I noted Bonatti lists 17 traditional afflictions of the Moon. Modern astrology recognizes just one, the void of course Moon. This minimal adoption of malefic factors is logical, first to adopt all of the traditional malefic factors would be too obvious a compromise of the basic tenet of optimism of modern astrology. In addition, the factor needs to be simple to explain and simple to determine if it is going to be adopted on a mass scale. Traditional astrology is extremely complex, which militates against its mass adoption. Finally, there does appear to be a desire to be frightened, or rather to be able to focus and localize fear and thereby gain some control over it. If we "know" that void of course Moon is dangerous, we can avoid danger by avoiding the void of course Moon. It is can be pleasant to point out the mistakes and shortcomings of others, with a corresponding sense of our own superiority in not using such an obviously incorrect factor as void of course Moon in an election or other chart. In addition, it can be difficult to accept that there are other methods and other approaches from the one we are most familiar with, particularly if we are of the view that there is one "astrology" and one "right" way to do it. So these are the factors that I think help explain the popularity of void of course Moon and retrograde Mercury. Based on these factors I think we will continue to see regular periodic adoptions of singular easily understood and applied factors from traditional astrology or possibly other sources, in modern astrology and in the wider esoteric community's basic understanding of "astrology". The question of whether or not a horary is radical is one of the more confusing aspects of traditional horary practice for clients. Clients often ask me "what does it mean if a horary is not radical?" and it is not easy to even explain what radicality is, let alone its significance. First, let's explain what radicality is and in fact, this will illuminate some important issues about horary astrology. Horary astrology is itself somewhat confusing to many people because rather than looking at a person's birth chart, in horary we look at the birth of a question. By looking at the chart of a question, we can determine the answer. This works because everything in the Cosmos is connected through chains of spiritual sympathy and correspondence. The connection of the cycles of the Heavens to the time of your birth allows for prediction of your entire life, while their connection of the time of a question, allows the astrologer to accurately and precisely answer a horary question. While there are issues with timing a person's birth (where's my birth certificate, did my mother remember the time accurately, is the birth certificate accurate?) 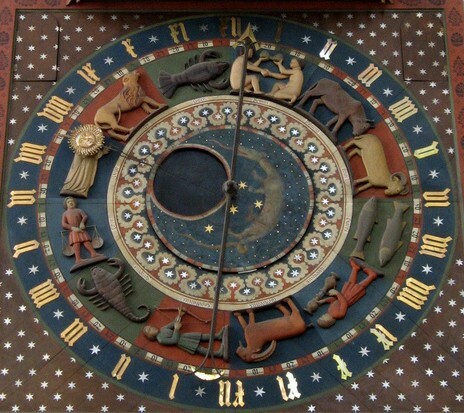 timing a horary is more complex. Because of the ease of asking questions, as horary astrologers we try to make sure we have charts that are likely to accurate reflect the situation we are trying to predict. An accurate chart, in other words, is a radical chart, in the most general sense of the word. The word radical nowadays is treated as meaning "extreme" as in radical left. Radical comes from the Latin radix or root. So in the original meaning a radical change would be one that went to the root of a problem. A radical chart, in the general sense, is therefore a chart that is rooted in the actual situation, that accurately reflects that situation. However, when we consider radicality in the general sense, that is, as accuracy, we have a problem. The only way to know if a chart is accurate is to know the outcome of the question and if we know that, then we don't need a chart. This is where technical radicality comes in. This is a more restricted sense of radicality and is what we are generally talking about as horary astrologers when we speak of a radical chart. Technical radicality is a term that I use because I find it useful, it is not in common use among astrologers. To determine technical radicality, we look at certain indicators in a chart. If these indicators are present, they are an indication, but not an absolute guarantee that the chart is accurate. Technical radicality is like an internal calibration. So what is technical radicality? Lilly, in his 1647 magnum opus Christian Astrology says, "The question then shall be taken for radical, or fit to be judged, when the lord of the hour at the time of proposing the question, and erecting the figure, and the lord of the ascendant or first house, are of one triplicity, or be one, or of the same nature.” CA, page 121. 1. Does the planetary hour ruler rule sign on the Ascendant? 2. Does the planetary hour ruler rule the triplicity that the sign on the Ascendant belongs to? 3. Is the planetary hour ruler of the same elemental nature as the planet that rules the Ascendant? If it passes any one of these three tests, the chart is technically radical. The first rule is fairly easy, for example, if Mars rules the planetary hour and Aries rises, the chart is technically radical since Mars rules Aries. For triplicity my method is to (1) use the Dorothean triplicity rulerships and look to the planetary hour ruler and see if it rules the triplicity of the sign on the Ascendant. (2) I also don't worry if the planetary hour ruler is the day, night or mixed ruler as any of the three will do for radicality purposes. So using my method if Sagittarius rises and it is the planetary hour of Saturn, then the chart is technically radical since Saturn is the mixed ruler of fire. Other traditional astrologers may use different triplicity rulerships and may require the day triplicity ruler by day or night triplicity ruler by night. They are not "wrong" just using different variations. Finally, if none of these tests apply, then we look to see if the planetary hour ruler and the planet that rules the sign on the Ascendant have the same elemental nature. For example, if Leo rises, the Sun is the ruler of the Ascendant. The Sun is hot and dry. Mars is also hot and dry, so if he rules the hour when Leo rises the chart is technically radical. Note that we compare the planetary hour ruler and the Ascendant ruler, not the planetary hour ruler and the elemental nature of the rising sign. Let's give an example of each. If Aries rises and it is the planetary hour of Mars, the chart is technically radical because Mars rules Aries. If Cancer rises, and it is the planetary hour of Mars, then the chart is technically radical because Mars rules water signs by night. If Leo rises and it is Mars hour, then because the Sun, the ruler of Leo is hot and dry and Mars is hot and dry, then the chart is technically radical. Ok, so what does it mean if a chart is radical or if it is not radical? Generally when this is asked the question refers to technical radicality, whether the chart has the internal indications of accuracy noted by Lilly. It sounds like from Lilly that if a chart is technically radical that it is "fit to be judged" Logically it would follow that a non-radical chart should not be judged. I have not found this to be true. I have found many non-technically radical horary charts give perfectly accurate answers. In fact, I am supported in this by a traditional source. 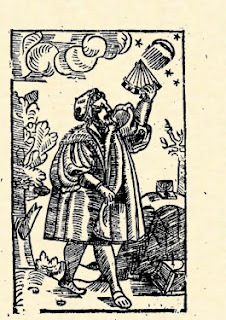 Nicholas Culpepper in his 1656 Opus Astrologicum at horary aphorism 21, gives the same tests for radicality as Lilly and even uses the "fit to be judged" language. However, in a side comment he says, "I have found many Questions true wherein this hath not been so." In other words Culpepper says in his experience a chart does not need technical radicality to be accurate. v So, in my experience, backed up by an impeccable traditional source, you can judge a non-technically radical chart and still get an accurate answer. Technical radicality, in my view, is a bonus and nice to have, but it is not required. Not being radical, does not stop a horary chart from being judged. So when I do a horary the first thing I note is whether or not the chart is technically radical, though I refer to this simply as being "radical" If the chart is not radical, I note it and say, "nevertheless we can still get an accurate answer from the chart." This is, unfortunately and understandably, confusing clients, which is why I decided to write a complete explanation! Given that radicality is confusing, should horary astrologers continue to note it? I think so. It is a nice bonus to have a radical chart and it was a feature that our illustrious predecessors themselves noted. Yesterday I had an experience that doesn't happen very often, but is painful nonetheless. I had a horary client write me, upset that my prediction had been incorrect, for a legal horary no less! I checked and yes, it was wrong, no wriggle room. Now there's a couple of things, first, there may be an appeal, so it is possible that the case gets overturned on appeal. Also the chart was not entirely positive so I could have played it a bit safer and hedged a bit. Finally, I think this was one of those situations where I was influenced a bit by sympathy for the client and a sense they were not being treated fairly. Not much though! Here's a legal chart with the querent highly dignified, if a bit afflicted, much more dignified than the severely afflicted significator of the prosecutor in the 1st of the querent, a classic sign of loss. Plus the judge/jury were highly dignified and the querent's significator dignified in the 10th. One could definitely selectively focus on negative factors to fit a know result, but getting such a strong negative out of that chart really would be fudging. Now there's two levels here. Obviously one is going to want to personally be operating at the top of one's game and not personally making mistakes. Getting it wrong doesn't automatically mean you made a mistake. Doctors can may misdiagnoses for example, without necessarily committing malpractice. What doctors face less, however, is the second level, which is doubt about the whole enterprise of medicine. This is always a concern for astrologers. After all, the most prestigious contemporary institutions, the official modern arbiters of reality, reject the reality and efficacy of astrology. There is a sense that not only are you putting your own skill on the line with each reading, but that astrology itself hangs in the balance. If you get it wrong, clients may not only condemn you, but say, "oh, I tried astrology once and it was a bunch of @#$!$!" I got a twinge of that with this client's e-mail. I wasn't happy personally not getting the prediction right and I was perturbed to look at the chart and confirm that the chart really didn't seem to fit. I'd really rather have made an obvious mistake myself, in a way. In thinking about this I remembered a quote from an aphorism by Jerome Cardan. 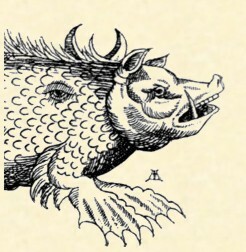 This is from Lilly and Coley's Animae Astrologiae, "18 When true genitures exactly taken in accidents prove false or absurd, and not agreeable to the things signified, they are to be accounted monstrous are to be avoided as anatomists do monstrous bodies in their dissections for they overthrow Art." Choice Aphorisms from the Seven Segments of Cardan, trans. William Lilly. This is very profound. We tend to judge everything by the material world, this is Reality as far as we are concerned. But the Hermetic/Neoplatonic philosophy that undergirds astrology and magic sees the spiritual as primary and the material as a less perfect manifestation of underlying spiritual patterns and reality. Hyle, or matter without spiritual form, tends to resist the imposition of form. This is easy to see, how many times have we had a perfect idea in our minds, say a deck or dog house, and then found that the physicality of the wood, nails, concrete, etc, resulted in a less than perfect instantiation of our original idea? That the material world or even that that material cycles of the Heavens did not conform to the underlying spiritual reality does not invalidate that underlying spiritual reality or the methodology of astrology in predicting through grasping these spiritual cycles. Having done over 4,000 horaries for clients, the charts have overwhelmingly fit the situation. Even though I don't blindly accept the efficacy of traditional astrology, I'm not going to reject it even if the occasional chart doesn't seem to fit. Ok, so obvious question is, "What's the difference between these editions?" First, all Renaissance Astrology editions of Picatrix contain the complete four books of the Latin Picatrix. You won't be missing out on any of the complete text of Picatrix with any of our editions. The differences have to do mostly with the appearance of the book and in particular NEW illustrations! All of the editions contain the basic Picatrix sigil images, again right from the Latin Picatrix, but we have several new illustrated versions of Picatrix. I've also finally not only gotten fed up with Amazon and its totally inconsistent discounting and also figured out how to do discounts if you buy directly from the printer Lulu, so not only do we have new illustrated editions, but I've figured out how to cut out the middle man, keep making a reasonable profit for John and me and significantly cut the price for the reader! Let me talk a bit about the edition. The "standard edition" is the Liber Atratus or Black Book, this is the one on Amazon for $39.95 (they pulled the discount!!!). Instead you can get this directly from the printer for $26.21 Wow! The first new edition is the Illustrated Picatrix This is an illustrated hardcover version of the paperback "standard edition" this will eventually be available on Amazon at a list price of $59.95. This is really great! It has over 100 black and white illustrations, with Nigel Jackson's beautiful images of the 7 planets and 28 Mansions of the Moon, plus the 12 signs and 36 decan/faces by Renaissance artists. But I have an really incredible deal! The Illustrated Picatrix won't be on Amazon for at least 6-8 weeks, until it appears on Amazon, I am offering a special limited edition First Edition, Illustrated Picatrix hardcover, with all of the great b&w illustrations, plus a special page with hidden Picatrix sigils from the great astrologer William Lilly's personal copy of Picatrix. $44.95?!! That's just $5 more than the Amazon list price for the paperback, this is for a HARDCOVER with the illustrations and with the hidden sigils! Hurry though, the special First Edition will end as soon as the regular 2nd edition hardcover Illustrated Picatrix appears on Amazon. But there are even more new Picatrix editions. Let me talk about the Liber Rubeus, the Red Book, we have a new illustrated edition of the Liber Rubeus! This is hardcover, again with the over 100 b&w illustrations including Nigel Jackson's 7 planets and 28 Mansions of the Moon and the 12 signs and 36 decan/faces by Renaissance artists. The Liber Rubeus is special because it is only initiated under the 5th Mansion of the Moon. It is the most macabre edition containing a very sanguinary description of the creation of a divinatory head and being decorated in skull motifs. Finally, we also have an AMAZING deluxe COLOR Illustrated Picatrix. Unlike the other versions this is 8.5 x 10.25, very large format and all color. This version has even more incredible huge color images by Nigel Jackson of the 7 planets and 28 Mansions of the Moon, with color images of the 12 signs by a Renaissance artist. GORGEOUS! Each version will have a unique dedication that can have your name or the name of the recipient on it. For an additional charge I can do 7 separate planetary consecrations of your Color Deluxe Picatrix, turning this book of magic into a powerful magical artifact. Let me tell you, the spirits LOVE to inhabit Picatrix. I really like Jason Miller. He's a contemporary sorcercer/mage who's got a significant web presence and has written lots of interesting books. One key concept of his that I have really embraced is the idea that magic, particularly financial magic, but any magic looking to influence material things, needs to be one part of a complete pragmatic strategy. Do the money magic, he says, but you better also have a budget, financial plans, work smart, etc. "TIMING: Some people have found the timing of the rite strange for a number of reasons. First is that it is on a Friday rather than Thursday, the day of Jupiter. As I have states in the past, the system of days and hours can be used to time things when appropriate but should not be allowed to be a restriction. Jupiter is in the sky and the God is the god on ALL days. The second concern is that Jupiter is retrograde until April 8th. Planetary force tends to build immense strength just before going direct and this rite will hopefully place people into a good position to take advantage of this. The third concern is that there is a Solar Eclipse and people tend to view eclipses as negative. In my view the eclipse removes a power from the mix, turning the volume up on all the other planets and forces filling the vacuum. This is why in Tibet for instance, Dharmic actions are said to have 10,000 times more effect. By doing the Jupiter rite, not just for ourselves but for others, we are taking advantage of the increased power of Jupiter, as well as strengthening the influence of this greater benefic during a time that the Sun's influence is in question. It is a positive all around." 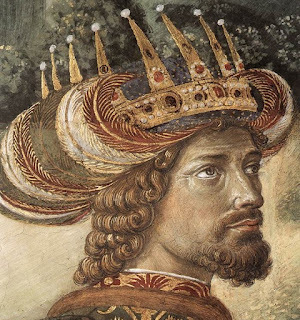 Ok, from the standpoint of accepting the validity of astrological timing, I suppose you could talk your way around one or two problems, but doing a Jupiter ritual on March 20 is really saying "forget astrological timing!" After all if Jupiter is always in the sky, what's the point? I understand why this is going to be attractive. First, it takes a lot of effort to learn traditional astrology. Second, one of the key attributes of the magician is a very strong individual will. Having to restrain that will and wait till the appropriate timing comes around kind of goes against the grain. Following astrological timing is also inconvenient. It causes me all sorts of hassles with my trips to Japan, trying to get a decent time astrologically that also fits for a workshop. Sometimes the best times astrologically are at 3am, and getting up in the middle of the night is a hassle. Three Books of Occult Philosophy, Bk II, ch 29. Let me just provide some personal anecdotal evidence as well. I once created some Jupiter talismans, and even used Jupiter day and hour, but Jupiter was in detriment and retrograde. I immediately began to have big financial losses, until I finally deconsecrated the talisman. I think the key here is "doth work things far more wonderful" Agrippa is not saying and I don't necessarily believe that just because you do a ritual with bad astrological conditions that it will automatically fail or backfire or something. Though from my one anecdotal experience, this is possible. I want to emphasize that not following astrological timing does not mean INSTANT DISASTER 100% of the time because there is a definite tendency for newbies to get totally FREAKED OUT and frightened at the slightest possibility of a mistake or problem using magic. It seems rather obvious that when using an astrological factor like a planet or star in a ritual that it would make sense to consider its astrological strength, weakness or affliction. It's like asking a friend for a favor. Do you call them when they are feeling good, in a good mood at a reasonable hour? Or do you wake them up in the middle of the night when they have a cold? Which of these is likely to get better results? It therefore seems logical that if ritual is good, then ritual + proper astrological timing, supercharges the power of the ritual. This has certainly been my experience and the experience of ritual magicians who reported back to me after using astrological timing. "It felt like it hit the sweet spot" was a typical response by a very experienced ritual magician who I did a ritual election for. Planetary ritual without proper timing may certainly work, I am no way saying that it is always doomed to fail. What I do think, however, it is that you are fighting against the tide to do a Jupiter ritual without Jupiter day or hour and with Jupiter retrograde. Moon combust after an eclipse is not helping either! So let's call a spade, a spade. Let's be honest about what we are doing and if we are going to toss out astrological timing, let's be straight about it, rather doing it by subterfuge by insisting that each individual factor, no matter what it is, is astrologically fine. So, as I said, I have great respect for Jason and I always look forward to reading his posts and his books, which are always thoughtful and well done. As an astrological magician, however, I have to respectfully dissent from the idea that astrological timing is not important for planets, stars and other astrological factors. It is worth the time to learn, because if your ritual planetary and stellar work is good to start with, proper astrological timing will turbocharge it. And let me go further, I would be happy to collaborate and provide astrological timing for this sort of mass planetary ritual. If you are a magician and more than 100 people are going to participate, contact me and let's discuss getting good astrological timing! These all include a Guardian Angel/Personal Daimon name. This name is unique because it is determined using your unique birth time, date and place. Using this process provides a unique angel/daimon name, so unless someone was born at the exact time, date and place of your birth, they will have a different Guardian Angel/Personal Daimon name. So what clients often say is "I've googled this name and I haven't found anything, where can I look up information on my Guardian Angel" This is completely understandable, and of course we would like to find out more information. But the problem is, since your name is unique based on your birthchart and everyone in the world has their own unique Guardian Angel, that would mean that there are over 7 billion different Guardian Angels with different names. Who could sit down and write 7 billion different angel descriptions? Where would the information for over 7 billion Guardian Angels be stored? So, no, there is not going to be any additional information on your personal Guardian Angel online or anywhere else. Let me say a bit more about the Guardian Angel/Personal Daimon, one of my key sources is Robert Zoller's article on Angels. It's a good article, but I only see it at New Library which is selling Zoller's material without paying him anything. What a mess! Anyhow, Zoller notes that angel comes from angelos, Latin for messenger and that there are good angels and bad or fallen angels. Angels are a separate creation from humans and thus humans at death do not become angels. Dionysius the Aeropagite in the Celestial Hierarchy, writes of levels of angels, with Cherubim, the highest, followed, by Seraphim, Powers, Thrones, Dominions, Authorities, Principalities, Archangels and finally Angels. 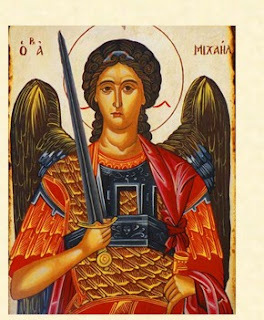 That every individual soul has a guardian angel has never been defined by the Church, and is, consequently, not an article of faith; but it is the "mind of the Church", as St. Jerome expressed it: "how great the dignity of the soul, since each one has from his birth an angel commissioned to guard it". Our Guardian Angel, says Zoller, exists to guide us. It is our personal connection to the Divine. On the other hand, we are also under the spiritual authority of one of the seven planets, depending on who is the almuten figuris or chart ruler of our natal chart. This is not simply the Ascendant ruler or most dignified planet, but is determined through a complex calculation. Here is an explanation of how the almuten figuris is determined using Ibn Ezra's method, which is recommended by Zoller. I personally have not worked with my Guardian Angel/Personal Daimon, nor am I familiar with the Abramelin work. But I do think that this is a very important area for spiritual growth and magical work and I am happy to be able to provide both unique Guardian Angel/Personal Daimon and the almuten figuris in my natal readings. 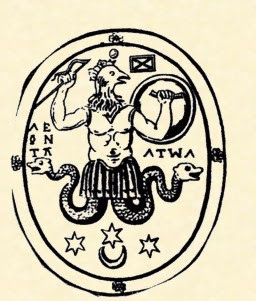 A long time friend of mine e-mailed me today with a link to a very interesting article on an ancient amulet. This particular one had a palindrome (reads forwards and backwards) inscription. Very interesting! This reminded me of the famous Abracadabra inscription. Not a palindrome but it's also an example of wordplay, you repeatedly inscribe with a letter missing on each line. Both very interesting examples of wordplay in magical inscriptions. These examples got me thinking about ancient magic. Clearly the most important text for ancient talismanic magic is the Greek Magical Papyri, edited by Betz. The Greek Magical Papyri, often abbreviated as the PGM, are quite amazing. Several hundred pages of magical spells, recipes, prayers and invocations. Coming from a period quite like our own in being very eclectic, combining many magical traditions in a new synthesis. Definitely worth having in your grimoire collection! There's just not that many examples of authentic ancient magical texts. Another excellent book on ancient talismans is Curse Tablets and Binding Spelles from the Ancient World by Gager. This book gives many examples of defixiones, which are a very typical ancient talisman made from writing on lead strips. Curses, love spells, business, justice, even racing are covered, with lots of actual examples. Gager even brings us full circle because the very first illustration in the book comes from Picatrix! He notes the use of magical symbols in Picatrix very much akin to those used in ancient talismans 1,000 years earlier, then notes the use of similar characters in Renaissance England. Of course, for us Picatrix is an exciting and new form of magic, the renaissance of medieval and ancient magic, in an endless birth, death and rebirth.